Do you want to know how to spray paint a car? If yes, then investigate this piece to learn steps on how to spray paint a car. Are you planning to give your car a new look, but wondering if it is going to be heavy on your pockets? Yes, getting your car painted, fixing even small repairs like bumps and scratches can be a pretty pricey affair and spray painting your car is without doubt an expensive business. You might be excellent in handling tools and might handle small repairs with expertise, but to paint your own car is a risky job nonetheless. A stray of questions will start bothering you, thereby increasing your apprehensions and forcing your confidence down and you will ultimately end up signing a big fat cheque to the get a garage to do the job for you. Though spray painting a car might sound like a very tough job, it in reality isn’t that difficult a task provided you know the right steps and procedures. Moreover, if you want to save money, then this write up on steps to spray paint a car will be a life saver. To learn how to go about the job of spray painting your car, read on. The first step in spray-painting your car is to set-up the instruments and the environment for the task. 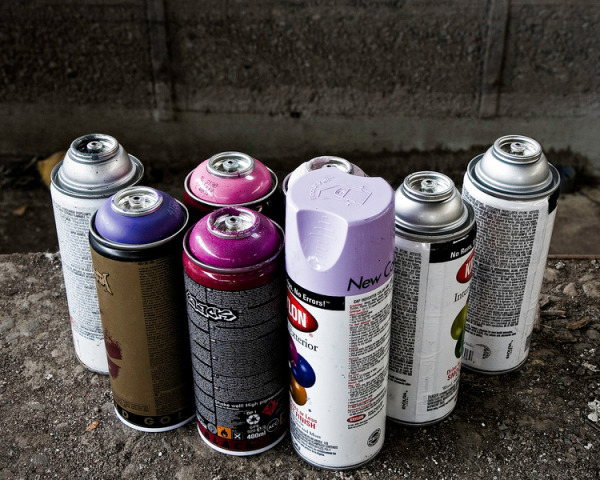 It is advantageous to have warm and dry conditions for spray painting since aerosols don’t always work well in damp and cold temperatures. Work inside a well ventilated garage if the atmosphere outside is not dry and warm. In addition, make sure that you put on old clothes, disposable gloves, goggles and a dust mask before starting to paint the car. The dust mask, goggles and gloves will prevent stray droplets from entering your eyes, mouth or nose. Once all your equipment and the floor for painting are ready, it is time to prepare the car for painting. Wash your car properly before you start to spray paint it. Washing the car will remove all the dust and other stains from the car and will provide you with a fresh body to paint on. Make sure to let the car dry for half an hour after washing it. Once the car is dry, carry forward the other preparatory measures. Make use of the aluminium oxide abrasive 80 sandpaper to rub the body of the car down to bare metal. You can also apply a rust treatment product if you notice any parts getting worn out. Nevertheless, do so only by following the manufacturer’s instructions and let the treatment dry before starting to paint. The body of the car to be painted should now be clean and dry, and if there are any traces of dirt or wax, it can be removed by using cellulose thinners. If it is not the entire body you are painting, then mask off the area which you won’t be painting using a masking tape and newspaper. This will protect the area not to be painted from getting flawed by the new paint. Once the car is masked and prepared for painting, pick up the spray can and fill it in with primer. Hold the spray can approximately 25 centimeters away from the surface to be painted and apply few coats of primer at 15 minutes intervals until the area is covered evenly. Make it a point to go over an inch of the original paint with the primer, for it to blend well. Allow the primer to dry for at least 24 hours. Once completely dry, rub the area down with 1200 wet and dry sandpaper until smooth. Now clean the area with warm, soapy water and then rinse the area with plain water and leave it to dry completely. Now is the time to actually paint the area. To start painting, shake the can well for 2 minutes in order to mix the paint thoroughly. Apply several coats of the paint at 15 minutes intervals, shaking the can once between each coat. In case you are using a metallic paint color, allow the paint to dry for 24 hours and then rub the area down with 1200 grit wet and dry paper. This is done for the paint to lose its glossy appearance and wear on a dull and matt finish. Clean the area with warm and soapy water and then rinse and let dry. Once the area dries completely, apply two coats of polish with a 15 minutes gap in between. If the finish of the paint looks patchy, you can apply another coat of paint or wait for the surface to completely dry before rubbing it down and starting the process all over again. The above mentioned steps on how to spray paint your car are not only easy to follow, but will also help you save big bucks.